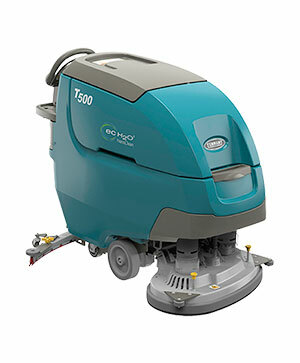 Reduce costs to clean, increase productivity and simplify operator training with the T500 and T500e's optional innovative technologies, such as Smart-Fill™ automatic battery watering, ec-H2O NanoClean™, IRIS® Asset Manager and more. Deliver predictable cleaning results with operator lock-out, on-demand tutorial videos and Zone Settings™ with customisable labels using Pro-Panel™ LCD touch screen technology. Available on T500 only. Increase battery life, extend battery run-time and easily optimise long-term battery performance with a nearly maintenance-free automatic battery watering system. 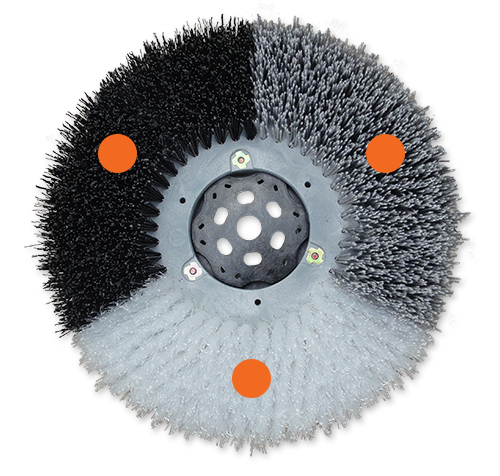 Choose from disk, cylindrical or orbital scrubbing heads in a range of cleaning path widths on this mid-size scrubber. Effectively remove floor finish without expensive stripping chemicals with the 700 mm orbital cleaning head option, which includes a 2,000 hour / 3-year isolator warranty. Get optimal cleaning performance from your T500 / T500e with TennantTrue® parts that have been designed specifically to help maximise cleaning effectiveness in one pass and achieve better cleaning performance at a total lower cost. 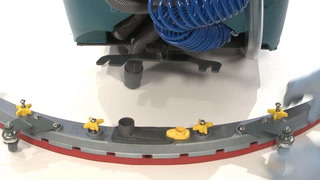 The squeegee is one of the most critical parts on your T500 / T500e scrubber. Only genuine TennantTrue® squeegees are designed specifically to fit with your T500 / T500e machine to deliver exceptional liquid collection and pick-up for optimal cleaning performance. The correct fit helps reduce downtime and service calls, lowers labor costs and puts money back into your business. Achieve better performance while lowering costs associated with rework, labour, safety and maintenance by using genuine TennantTrue® brushes, specifically designed for your T500 / T500e machine. Don’t settle for less - choose TennantTrue® brushes! ​​Extend machine life and reduce costs of ownership with an innovative suite of technologies and durable components. Maximise battery productivity with the exclusive patent-pending Smart-Fill™ technology, an optional on-board, automatic battery watering system. Help reduce breakdowns and simplify training and preventative daily maintenance with yellow touch-points on common maintenance areas. ​​Innovative features maintain health and safety of operators, customers and the environment. Reduce handling of daily cleaning chemicals with optional ec-H2O NanoClean™ technology. Improve operator ergonomics through updated and enhanced controls that put the propel switch and speed setting within easy reach. 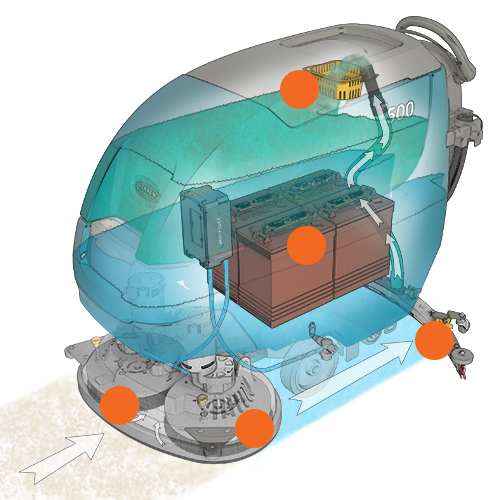 Prevent safety issues related to overfilling batteries with Smart-Fill™ automatic battery watering, which fills batteries correctly every time. Evenly and effectively remove floor finish with one of the highest orbital standard down pressure settings at 77 kg. Validate cleaning, differentiate your operations and develop optimal cleaning programme protocols with optional IRIS® Asset Manager. Easily standardise cleaning operations with programmable Zone Settings™ and customisable labels for your facility. Available on T500 only. Quickly and easily clean recovery tank with optional on-board spray nozzle and hose, which provides remote access to water as needed. Available on T500 only. ​​Reduce environmental impact through detergent-free cleaning technologies. Decrease the use of daily floor cleaning chemicals and the amount of water needed with optional detergent-free ec-H2O NanoClean™ technology. 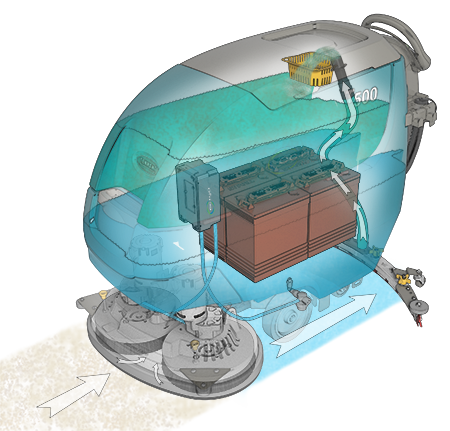 Reduce time spent trying to accurately fill the solution tank with auto-fill and water level monitor, which ensures the tank fills to capacity and shuts-off automatically. Available on T500 only. Minimise noise levels to as low as 62 dBA and allow for easy daytime cleaning without disruption with the Quiet-Mode™ low dBA setting. Available on T500 only.